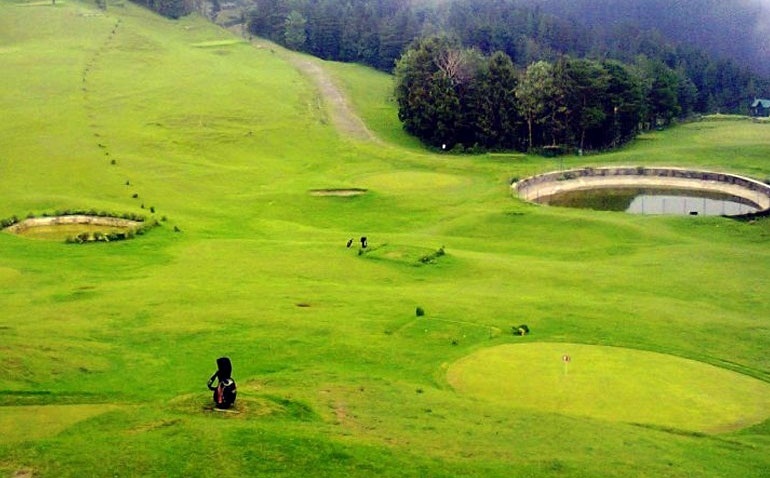 Perched 2,200 m above sea level, Naldehra is one of the country's most challenging golf courses. It covers a long sloping glade and is surrounded by countless Deodar trees from all sides. Bewitched by the boundless beauty of the golf club, Lord Curzon named his third daughter as Alexandra Naldehra. Within the boundaries, the golf course has a stylish club house that features three double rooms and a comfortable drawing room. Open for members as well as non-members, this club house is available on prior booking.